This past month I was asked what a “green” Grange was by a member of a Community Grange which was considering a motion to become one. First, I thought about what “green” means. True it is a color, but “green” is now used as a marketing term. Its use implies that a product or service is earth-friendly. Green can mean that a product is recyclable, contains recycled material, was produced using non-fossil fuel produced energy, is packaged in recyclable or recycled materials, is only available in a local area to keep shipping to a minimum, or refer to a company that buys carbon credits to offset their energy usage. It can mean a product was grown, cultivated, cared for or harvested in a “green” way. This tends to refer to a farmer or rancher using any method that doesn’t require the certification of an “organic” label, but sounds environmentally friendly to the consumer. Services are often marketed as “green” when they use methods or products that are considered earth-friendly. Other services are now available to find ways to improve the environment directly for the homeowner, farmer or business. I next reflected on what the Grange has stood for since 1867. We have advocated that our members be good stewards of the Earth and that we leave it a better place than we found it. For 144 years, our members, through the Grange, have sought to learn and teach better methods of conservation and protection of soil, employ healthier practices for our livestock, utilize advancements in the crops we raise, and improve the use and quality of water. We have always advocated for the safe, humane and responsible raising of animals and crops for the American public. So, what does becoming a “green” Grange really mean? Within the structure of the organization, the word green has no defined meaning as far as a designation for a Grange. To create a definition, the National Grange Delegates would need to amend the Digest. The color green is associated with the Pomona (county or district) level of our Order but not with the Community Grange. Every Grange is green in the sense of the principles, goals and policies of our organization, when the term is viewed in its most general sense. The harm that I can see in calling your Grange a “Green Grange” is if you view your Grange as better or different than any other Grange. The strength of our organization is unity, as our Declaration of Purposes states, “We propose meeting together, talking together, working together, and in general, acting together…” Anything that serves to discourage inclusive meetings, discussion on the topics of the day or joint effort with the whole of the Order is contrary to the principles of the Grange. We find no crime with differences of opinion, but instead seek to learn through debate and the exchange of differing points of view. Agriculture is changing as farm ownership transitions from one generation to the next. Some agriculturists are continuing to use the production agricultural business model where they produce the most for the least cost. Others are choosing to use an added value model where they attempt to increase profit by selling directly to the consumer. Many are now using both business plans on the same farm. The Grange serves as a place where all come together and learn from each other as well as a medium to educate the public about how all of agriculture is focused on good stewardship. It is healthy for agriculture to discuss and learn from each other as each member brings their own passion, knowledge and questions to Community Grange meetings. 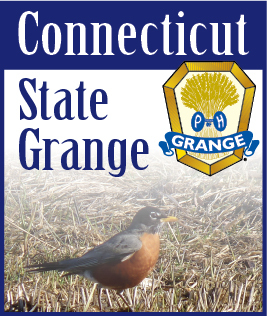 In addition, the Grange is not a single-issue organization. We are a general-purpose group with a wide range of interests that are determined by our membership. Community Granges talk about education, taxation and a host of other topics, as well as good environmental practices in agriculture and in our personal lives. If your Grange members seek to share our entire organization’s wonderful history, current philosophy and policies through a marketing campaign that includes the term “green,” there is no harm. If they seek to make their Grange appear better than any other Grange, they need to reconsider whether their actions are truly promoting unity within our Order.